Perfect for when space is tight in your kitchen, the Indesit IBD5517W fridge freezer has room for all the family's favourites. 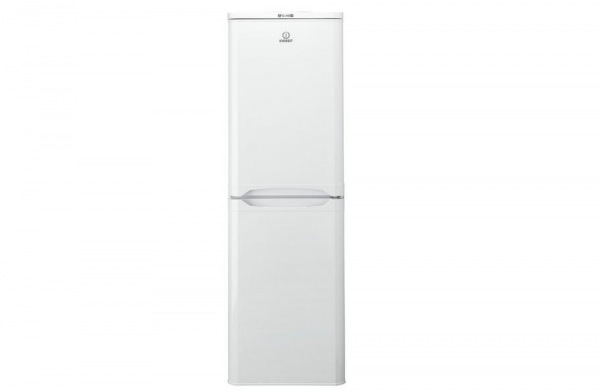 Despite being 54.5 cm wide, it still boasts a 150-litre fridge capacity and 84-litre freezer. The fridge features 3 easy-clean safety glass shelves and 2 salad drawers. The freezer includes 4 drawers with transparent fronts, which means you can find what you're looking for more quickly. A fast freeze function also ensures your food stays tasty for longer. It's rated A+ for energy, so it saves you money by keeping your bills to a minimum as well as being kind to the environment. Both doors are reversible, letting it slot into any kitchen corner.